Indian writing, like Nigerian writing, came under the umbrella of Commonwealth literature on account of its status as a member of the Commonwealth, and as a former colony of the British Empire. The broader label of postcolonial literature has also been used to describe Indian writing in English in more recent times. Indian writing dates back to the period 1500- 1200 BC when the epics Ramayana and Mahabharata were written. The earliest known Indian writing is in Sanskrit. Modern India has twenty- two officially recognized languages. Each of these languages boasts of a considerable body of literature. Indians are very proud of their writers. There is plenty of writing going on, in the various genres of prose, poetry, and drama. It is a vibrant writing scene. The major publishers are Penguin, India, Oxford University Press, Macmillan, and Orient Longman which changed its name to Orient Blackswan in the year 2008. There are numerous smaller publishing companies with branches in the major Indian cities, Mumbai, Delhi, Chennai, Calcutta and Bangalore. One of the earliest publishing houses to disseminate Indian writing in English was set up in Calcutta by P.Lal, a poet, translator, essayist and professor of literature. It is called The Writers Workshop. India emerged from under the shadow of the Empire in 1947. Indian writing in English has come to be called Indo-Anglian literature and dates back to the 1930’s. India, culture-lovers traveling through India and writing of their experiences, and so forth. Rudyard Kipling and Ruskin Bond are widely read in India. Rudyard Kipling’s Jungle Book (1894) and Kim (1901) are classics that have been read worldwide. William Dalrymple’s Nine Lives (2009) bears the subtitle ‘In Search of the Sacred in Modern India’. It is an overview of Hinduism from the British photojournalist’s perspective. 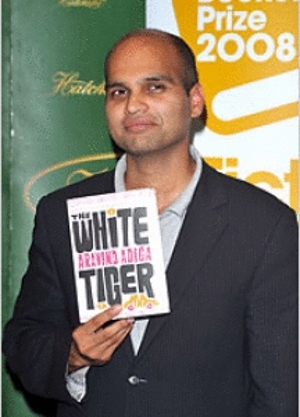 Aravind Adiga , an Indian writer born in Chennai, South India, won the Booker prize for fiction in 2008, for his novel The White Tiger. The year 2008 also saw the film Slum Dog Millionaire win eight Oscars. There were celebrations all over India and a spate of reviews of the Adiga novel and the Danny Boyle film. The novel Solo (2009) by an Indian author, Rana Dasgupta also won high acclaim. There is writing of all kinds going on in India, Indian writing in English, popular fiction, regional writing, writing in various languages in India – Hindi, Telugu, Tamil, Kannada, Malayalam, Bengali, and translations into English of regional literature. Chetan Bhagat is one of the contemporary writers of popular literature in English. Book reviews are a regular feature in the local newspapers. The local papers, The Hindu, and the Times of India feature book reviews once a week, and a literary supplement once a month where authors are interviewed, and articles about literary trends are published. New books are also reviewed in the supplement. Bookstores have regular book-reading sessions which are advertised in the papers. Authors read from their works, sign copies, and discuss their works with the reading public. The British Council is at the heart of the city, Chennai, with a large membership and with lots of activities related to writing. The early Indian writers in English, like the first generation Nigerian writers agonized over the use of English in their writings. Indo-Anglian writers like R.K.Narayan, Kamala Markandaya, Raja Rao, Rabindranath Tagore and Mulk Raj Anand wrote about their tongues in chains painfully expressing their emotions in a foreign language. Yet four hundred years of colonization had left a language, English, which Indians claimed rightfully as their own. English is the language in which every Indian receives an education. The early Indian writers aspired to use English in all its complexity as the British writers did. Subsequent writers had no qualms about couching regional words and expressions comfortably alongside English. English acquired a unique flavour of its own. 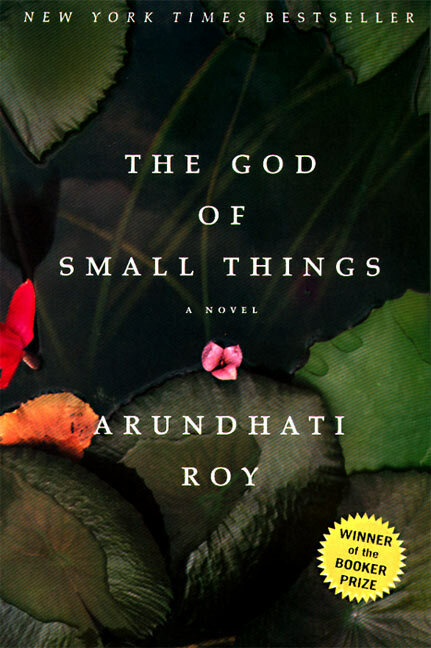 Contemporary writers like Sashi Deshpande, Gita Hariharan and Arundati Roy (whose God of Small Things won the Booker prize) write with great facility and flair about a variety of issues, caste discrimination, customs and traditions that alienate women, the place of widows in society, arranged child marriages and so forth. As with Nigeria, there is a crop of Indian writers writing about India as insiders and outsiders. Besides writers like Rana Dasgupta (whose novel is set in Bulgaria) and Aravind Adiga, Salman Rushdie is in the forefront of these writers. His Midnight’s Children won the Booker in 1981. He writes a hybrid English which is rich in Indian terms and expressions. Rushdie also introduced magical realism into Indian writing. Writing successfully from abroad are Bharati Mukherjee (Jasmine 1989), and Jhumpa Lahiri (The Namesake, Interpreter of Maladies) who writes from the United States. Vikram Seth (A Suitable Boy) writes from the UK. There are others: Khushwant Singh, Amitav Ghosh (The Glass Palace, Sea of Poppies) Rohinton Mistry, Anita Desai, Kiran Desai, V.S. Naipaul, and David Davidar (The House of Blue Mangoes). It is ironical that the prize-winning writers, the writers who win international acclaim and write from abroad focus on the negative aspects of India – poverty, ignorance, caste discrimination and so forth. Yet this is not the image of India that Indians like to project or publicize. What we hear and see in the media and what India would like the world to hear about is its technological advancement, India leading the IT sector, India feeding itself and having enough to export, its modernization, its ability to juxtapose the old and the new. It is often the diasporan Indian writer who sees the contradictions and writes about it. Slum Dog Millionaire could not have been written or filmed by an Indian insider. Indians do not see the poverty or caste discrimination. The slums of Bombay/ Mumbai are a mind-boggling sight to every visitor to India. But the middle class Indian rolls up the tinted glass windows of his Toyota and drives in air-conditioned comfort. The Hindu religion takes care of it all in one fell swoop – people are destined to be where they are. It is their karma. Slumdog Millionaire is based on a novel Q & A by Vikas Swarup. It is the story of a Mumbai teenager from the slums who dares to contest in the Indian version of the popular television programme “Who wants to be a Millionaire”. The teenage hero enthralls his audience with his answers. Heis just one question away from winning 20 million rupees when he is suspected of cheating and is arrested. The investigation reveals in flashback his life story in the slums and the specific incidents which enabled him to answer the questions in the contest. The film is directed by Danny Boyle. ‘In the old days there were 1000 castes in India. These days there are just two castes: Men with Big bellies and Men with Small bellies,’ says Balram Halwai. The Bookers and the Oscars were celebrated despite the message contained in the works of art, the books and the CD’s were purchased and reviewed.